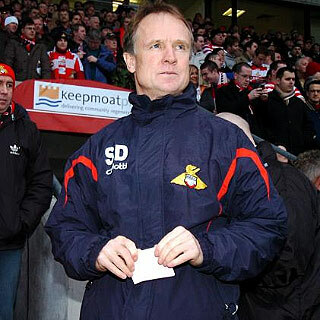 CHAIRMAN John Ryan has offered Doncaster Rovers manager Sean O'Driscoll a new contract after the 1-0 Play-Off Final victory over Yorkshire rivals Leeds United at Wembley. Ryan also revealed that Southampton were interested in the former Bournemouth gaffer last season but it didn't come off. 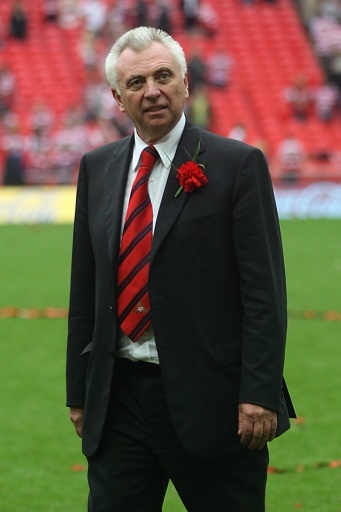 SKY SPORTS NEWS have revealed that Doncaster Rovers Chairman John Ryan has this morning offered manager Sean O'Driscoll a new and improved contract to keep him at the Keepmoat Stadium until June 2010 as a reward for guiding the club to the Coca-Cola Championship. O'Driscoll joined Doncaster Rovers at the beginning of September in 2006 from AFC Bournemouth, who have this season been relegated to Coca-Cola League Two following a ten point point reduction for going into Administration and despite battling to the last day of the season they went down with a goalless draw with Carlisle. "He has got us promoted and is now a hero at Doncaster Rovers, so why would Sean want to go anywhere else?" said chairman Ryan speaking to SkySports. "He is on a rolling contract and he will get an increase next season for getting us promoted. "But Sean is not motivated by cash, he is motivated by what he can achieve with this group of players." When O'Driscoll arrived he wasn't the best choice for the Doncaster Rovers supporters who felt that theappointment was a step back instead of forward and believed that he wouldn't take the club anywhere but to a bottom of the table scrap like Bournemouth. But Ryan is delighted he stuck with his man and didn't listen to the abuse he recieved from the Keepmoat faithful: "I am very proud that I targeted him to take over as manager even though I got a lot of abuse from fans. "I knew he was the Arsene Wenger of the lower league, it was just that no-one really respected him for the job he had done. "I think he will stay with us for a long time because we are building something special at this club and he has got my full backing. "I heard a rumour that Southampton were interested last season, but when you have successful players or managers, there will always be people wanting to nick them." I think it's fair to say that Sean O'Driscoll is safely and securely in the Doncaster Rovers Ledgends classification after a fantastic season that thankfully ended in promotion after missing out on the last automatic place on the last day of the season with defeat at Cheltenham Town.